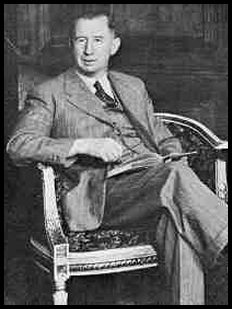 The first two books that Nevil Shute ever wrote were done in his evenings while working as chief calculator on the R-100 airship. In "Slide Rule" he tells us that he had not thought them very good and expected never to publish them. Certainly they are not in the same class as some of his later works but I think he may have been overly modest. I recently reread them and found them thoroughly enjoyable. Both books are closely related with many of the same characters in each. It seems logical to read them as a single novel in 2 parts. Both books were published in a single edition after Shute's death. The jacket notes say that some editing was done. I suspect the changes were not very major as it is clearly Shute's work. "Write what you know about" is the creed of many writers. I suspect Shute based much of the main characters in both of these books on himself. Stephen Morris, in the first book, is a young pilot after WWI who is trying to break into aviation as a designer and pilot. His background is in mathematics with a degree from Oxford. Peter Dennison, the main character in Pilotage is a lawyer but one of his favorite pastimes is sailing his 7 ton cutter in the Solent. In short, the two combine much of the young Shute as he described himself in Slide Rule. Both books are fairly typical "Boy meets girl, boy loses girl, boy gets girls back and they all live happily ever after" stories but with a strong aviation background. In the first Stephen Morris is initially involved as a pilot with 2 others in a scheme to take tourists and holidayers on joyrides. When that packs up he tries to get into avaiation design. Jobs in aviation are tough to find but he takes one at no pay, just for the experience, and gradually works his way into a paying job (as a young Shute did at de Havillands). Along the way he meets a girl he would like to marry but having no money gives the idea a pass. He thinks she has married someone else but in the end it turns out she waited for him. Pilotage is more of the same, sort of. Peter Dennison wants to get married but does not feel that he has enough money. He takes a job in Hong Kong but his intended refuses to go, although she wants to marry him as well. Through various turns of events Dennison meets Stephen Morris who is looking for a navigator. Morris, now a successful designer and pilot is involved in a scheme to fly mail halfway across the Atlantic. The idea is that a small plane will be carried on a ship and, about 1,000 miles from England, will be launched. This will cut 3-4 days off the time for mail to get through. In these days of Fedex, faxes and e-mail that sounds kind of hokey but apparently it had some attractions in the early/mid twenties. Dennison is signed on to navigate on the first test flight. It is successful, he gets a job in England he can marry on and they live happily ever after. One of the interesting things in Pilotage is that Shute was using a catapult to launch the aircraft from the deck of a freighter. I don't know whether this was being done in naval aviation with the first aircraft carriers but I don't think it was at that time. Another example, along with "Ordeal", of Shute's crystal ball ? Both books are pleasent little romances. Nothing special, just another example of Shute's superb ability to tell a story. I am glad someone did not pay attention to his willingness to leave them on the shelf.